Many farmers are prepared to go the extra mile in order to help save the Baltic Sea. 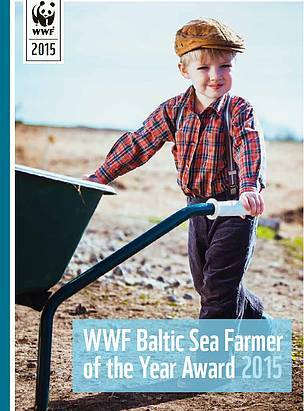 The winners of the WWF Baltic Sea Farmer of the Year Award 2015 have all taken measures on their own initiative to reduce nutrient runoff to the Baltic Sea. The WWF Baltic Sea Farmer of the Year Award competition was launched in 2009 by WWF in cooperation with farmers’ organisations from around the Baltic Sea. It’s intended to highlight best practices in “Baltic-friendly” farming and to recognise and promote farmers who are taking innovative measures to reduce nutrient runoff from their farms. To your right you can dowload this year's edition of winning farmers who are going the extra mile in order to save the Baltic Sea and making a difference! Meet the winners of the 2015 competition and learn more about how they are collectively making a difference for the Baltic Sea!